No two franchises are ever the same—which makes it difficult for emerging franchisors when they try to expand their business. Recruiting new franchisees is challenging. After many ups and downs, once you have the right candidate and signed the contract, then remains the challenge of providing training, servicing customers, and managing many more franchise operations. You cannot do everything yourself and be in a dozen places all at once. Your time is precious. The right system should be your ally in saving time and making life easier, but for many franchisors with a variety of software programs in place that’s not always the case. At Franchise Cloud Solutions, we were once confronted with such questions and problems as well. Just like you, we once started a franchise business, uncertain which actions to take, which tools to use. 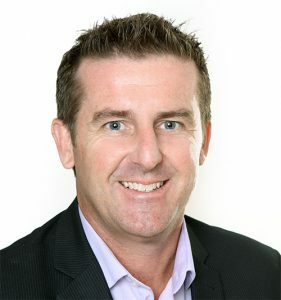 Franchise Cloud Solutions was launched by Brendan Green, CEO of successful franchise Hire a Hubby. Now, we have looked back on our 20 years of experience, and developed a comprehensive cloud-based end-to-end software system which is developed specifically for franchise businesses. Our extensive know-how will make your franchise endeavour successful. You can rely on our “developed by franchisors, for franchisors” cloud business management software to assist you through every stage of your franchise business. Every franchisee can log in to the cloud-based software system to enter or retrieve any necessary information. You will find our cloud contact management software as part of our all-in-one software system is excellent for coordinating recruitment, training, and job tracking. We’ll gladly help you to set up and configure your cloud contact management system. Use Franchise Cloud Solutions too for collecting customer feedback, tracking prospects, analysing, and reporting sales data. You will conclude that our cloud customer management software is state of the art, yet an uncomplicated system that anyone can quickly master. You’ll wonder how you ever lived without it! Instead of having – and paying for – numerous applications of which many functions overlap, you can count on exactly one software system from now on. No longer will you need to worry about a trying to remember which data is the most up-to-date in a document or spreadsheet; you’ll always know for sure. With no data escaping your attention anymore and with full reporting capability, you will have better transparency over all operations. To further explore how our cloud business management software can assist your business, submit an online enquiry or give our team a call on 1800 227 881.